Charlene Corey, age 71, was born on June 2, 1947 in Pitt County, Greenville, North Carolina to Charles W. and Sophia Adell (Smith) Corey. Charlene transitioned peacefully in her sleep at her home in Decatur, GA on March 23, 2019 in the care of her family. As a child she moved to Fort Wayne, IN and was known to get up in the middle of the night and write on the walls or draw. She attended Central High School in Fort Wayne, IN and was popular for her beauty and intelligence and for making many friends throughout the city. In her 20’s and 30’s, Charlene traveled to and lived in Atlanta, Los Angeles and New York City before returning to Fort Wayne to raise her family. All throughout her life she was a prolific writer, photographer and archivist. She left over thirty journals, volumes of photo albums and hundreds of photographs, correspondence letters and greeting cards. She was known for her sense of style, interior decorating abilities and for always making everyone feel welcome. Charlene was spacious! She always had time for a friend or a loved one. Her house had an open door policy and no one was ever turned away. Many family members lived with Charlene for periods of time when they needed assistance. She was a true servant and she served the people. Charlene leaves to celebrate her memories two loving children, Nicky Lynn Corey-Matthews of South Charleston, SC and Charnier T. Corey of New York, NY; two brothers, Charles Terry Corey of Fort Wayne, IN and Kevin Ray Corey of Cincinnati, OH; four sisters, Jacqueline Corey and Wilma Causey of Fort Wayne, IN, Linda Lowery of Decatur, GA and Tara Corey of Indianapolis, IN; five grandchildren and five great-grandchildren and host of other family and friends. 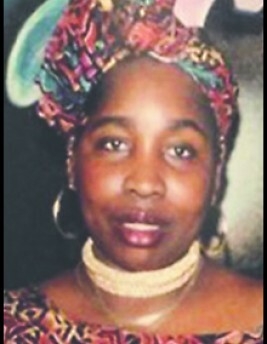 She was preceded in death by both parents, Charles W. Corey and Sophia Adell (Smith) Brandon; two sisters, Pamela Corey and Sandra Corey; a brother, Darryel Corey and a son, Calvin D. Perry.